There are so many ways in which a physically active person can suffer injury. One might get in a hurry and turn their ankle stepping off the front porch step or lift something heavy causing a pulled muscle. Accidents happen, and these are just a few examples of an accident causing injury. This is why it is vital for young athletes to know the difference between injury and soreness. There is nothing wrong with being a little sore. It is actually good to feel a little sore the day after or two days after a workout. This tells your body two things, it is working properly to heal itself and it is getting stronger in the areas performing the work. If an athlete feels discomfort for more than 5 to 7 days in a specific area. Then they should stop their training regimens and consult a medical specialist. The two most common causes of injury to a pitcher are overuse and throwing while in fatigue. 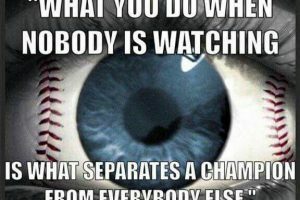 Overuse most commonly occurs when a parent/coach is either, uneducated about pitching limitations or they falsely believe their player is an exception. We commonly refer to this as “Superman Syndrome”, but as frequently as you may have heard it said, their is no such thing as a “rubber arm”. 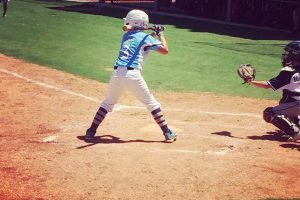 Some kids might be a little more flexible, allowing them to seem unfazed by excessive pitching, but overuse is overuse, and eventually, it will catch up with them. 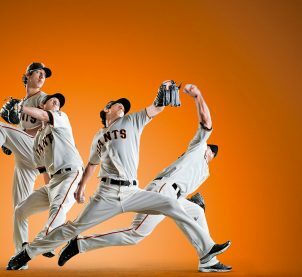 Throwing while in fatigue is another major issue that pitchers face. This does not necessarily mean the athlete is a victim of overuse. It simply means the athlete does not possess the physical stamina to support the workload being placed upon them. This is common for those who have not trained, prepared or worked-up to the workload being required in competition. Not having the stamina it requires to handle the higher “safe range” of pitch counts or multiple game outings without becoming tired. You should not apply those recommendations for pitch count maximums and rest day minimums to a player just coming off the couch after three months of the off-season. Being general recommendations they also do not account for how hard or easy an athlete is having to work physically to produce those results. The physical condition and size of an athlete can greatly effect how hard their body is having to work. Players who throw/hit while in fatigue tend to perform unnatural mechanical movements, like drop their arm slot when throwing or drop their hands when hitting. This is the bodies way of preserving its self by recruiting strength from areas that are untrained through movements that are unnatural to the individual’s body. Over time, this will inevitably catch up with them and lead to injury. 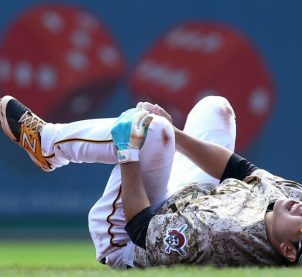 No amount of hitting, pitching, or fielding lessons can stop this from happening if an athlete is playing in fatigue frequently. It is best to be as prepared as possible by building stamina and strength where the athlete needs it most. Diamond athletes sustain injuries in many different ways. Accidents such as turning an ankle rounding a base or diving after a ball that’s hit in the gap are just a few examples. There are many different ways in which a diamond athlete can suffer injury, but we can’t fear injury. If that was the case then might as well wrap ourselves up in bubble wrap and stay inside for the rest of our lives, and that’s just not going to happen. Eventually, if you participate in sports long enough, some type of physical injury is going to occur. We can only hope it’s a minor injury as opposed to a severe one. What we can control is our effort in preventing injuries by implement preventative measures to reduce the risk. That’s why it’s important to train to become a stronger, more balance athlete. 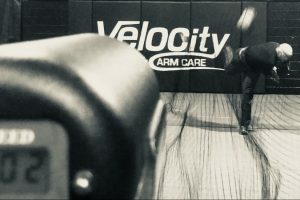 An athlete with efficient movement patterns naturally adapts to potentially harmful situations and makes it look smooth and easy. Whereas an athlete with inefficient movement patterns is more inclined to sustain an injury stemming from the inability to adapt to an awkward position/situation. The point is, if it looks awkward it probably feels awkward. If it feels awkward, it commonly doesn’t feel good, and that is what leads to a majority of athletic injuries. Our goal is to build a stronger, more athletic moving individual through multi-purpose functional movement exercises. Throw Smart training included proprioception, strength, mobility/flexibility, speed/agility, and stamina. In many cases, sustaining an injury can be avoided by simply being prepared for the physical situation at hand. In addition, we make sure to ask before every workout “how the athlete is feeling?”. This simple question helps the athlete build awareness to understand what their body is trying to tell them. If a player indicates they are experiencing pain in a certain area it is important to understand that pain and adjust accordingly. If it is determined an athlete is hurt, they should not proceed with a workout as usual. In many cases this requires a period of rest and recover from the injury sustained. Depending on the severity it may be necessary to consult with a medical specialist. Only after a physician has cleared an athlete for physical activity, should the athlete continue with their training program. This will minimize the severity of the injury. However, if an athlete is simply sore, then get moving and see how the warm-up goes. If the warm-up gets the athlete loose and feeling good, then proceed with the workout. If still experiencing discomfort after the warm-up, then to shut it down and consult with a medical specialist. 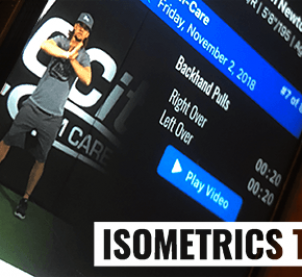 To learn more, check out our previous blog article discussing functional movement patterns and how they can be beneficial in performance and health.